A Taiwanese Tale of Two Cities is like Charles Dickens’ A Tale of Two Cities in name only. Instead of guillotines and the Reign of Terror, this new Taiwanese drama from Netflix offers an impeccably wholesome story of cross-cultural connection and discovery. The only element it shares with Dickens’ classic is that it happens across two cities, though in this case they are Taipei and San Francisco instead of London and Paris. Though A Taiwanese Tale of Two Cities may not gain the renown of Dickens’ novel, it is distinctive on several fronts. First, it’s the first show I’ve seen that consciously and positively bridges Asians and the Asian diaspora. Second, it advertises Taiwan far better than any internationally distributed show I’ve seen, and is another positive sign of the island’s investments in soft power. Josephine Huang at left and Li Nien-nien at right (Courtesy of Netflix). In terms of plot structure, A Taiwanese Tale of Two Cities isn’t particularly remarkable. The show show’s two protagonists are Li Nien-nien (Tammy Chen) and Josephine Huang (Peggy Tseng), two adult millennial women. The Taiwanese Nien-nien is a traditional Chinese medicine doctor in Taipei’s historic Dadaocheng district, whereas the Taiwanese-American Josephine works as a software engineer in San Francisco. The two meet in Taipei through a competition for the “Best Job in the Pacific”. After discovering the job is a scam and drowning their sorrows in alcohol, the pair drunkenly decides to switch places. Nien-nien flies to San Francisco to live in Josephine’s apartment, while Josephine crashes with Nien-nien’s family in Taipei. In these swapped settings, the two start exploring new life experiences and love interests. 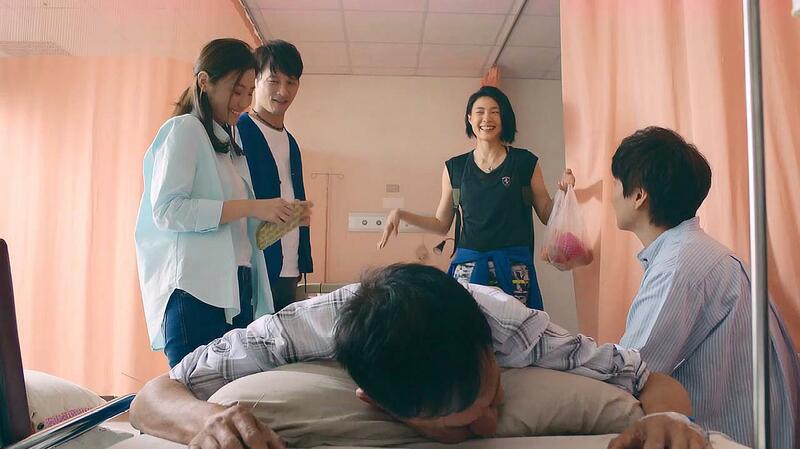 While not as overwrought as most Taiwanese dramas, A Taiwanese Tale of Two Cities does get a bit cheesy sometimes, with predictable romantic pairings and scenes of characters crying in hospital beds. However, the show is still pretty mellow overall. Instead of having overly dramatic cry-fests or homicidal Asian mothers, A Taiwanese Tale of Two Cities’ characters interact very diplomatically. This makes it similar to other Asian Netflix fare like Terrace House, which also offers millennials a wholesome, escapist view of idealized romance and refreshing existential exploration. Though millennials in general can theoretically enjoy A Taiwanese Tale of Two Cities, the show will likely resonate the most with those of Taiwanese heritage, whether in Taiwan or abroad. 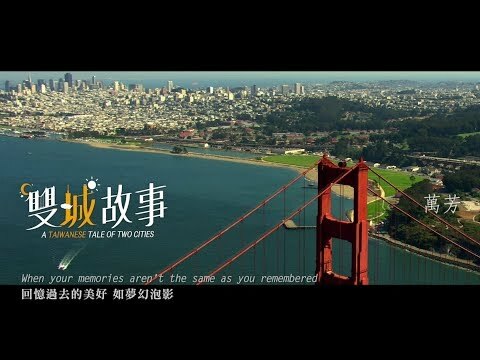 As a Taiwanese-American who has lived in both Taipei and the San Francisco Bay Area, A Taiwanese Tale of Two Cities felt so absurdly relatable that I had to keep watching even despite my general aversion towards romantic dramas. Granted, the bar for “media that’s relatable to Taiwanese diaspora” is extremely low, as not much exists in the category. This bar is even lower for Taiwanese diaspora from benshengren backgrounds (i.e. whose families did not come over with the Nationalists in 1949), as most prominent Taiwanese diaspora narratives like The Wedding Banquet or even Fresh Off the Boat come from waishengren (people who came to Taiwan with the Nationalists in 1949) contexts. Despite this low bar, A Taiwanese Tale of Two Cities goes far above and beyond in depicting many details of both Taiwanese and Taiwanese-American life, particularly that of the benshengren variety. With dialog that seamlessly traverses Mandarin, Taiwanese, and English, every episode is an exercise in cross-cultural connection. As Josephine explores Taipei, she visits the famous elephant Lin Wang, learns the traditions of National Taiwan University, and begins to uncover her late father’s activism against the old KMT authoritarian regime. In the SF Bay Area, Nien-nien tastes wines in Napa Valley, views the SF Pride Parade, and even partakes in a “420 party”; there’s also a scene where she visits the local Taiwanese emigre association and hears their complaints about how California air is too dry for Taiwanese skin (a legit and common issue among Taiwanese in the Bay Area). This attention to cross-cultural detail strengthens A Taiwanese Tale of Two Cities, and makes it far more engaging—and enlightening—than your average Asian drama. It’s as if the show’s makers had a list of everything people ought to learn about Taipei and San Francisco, and managed to weave in every item without compromising entertainment value. 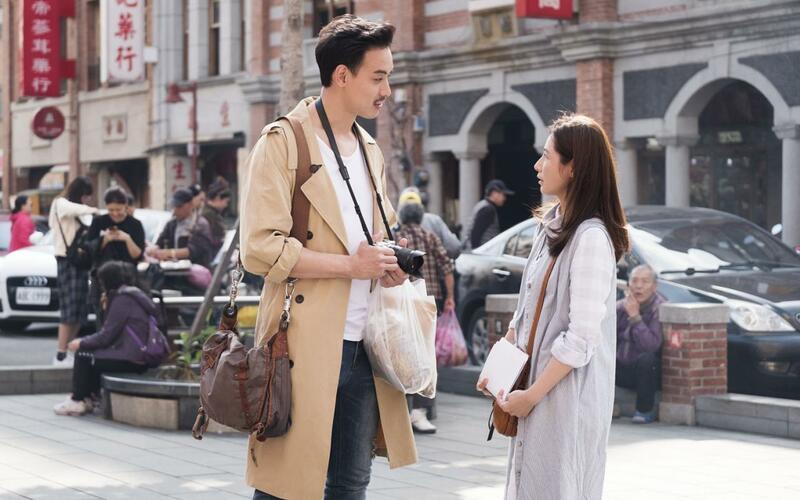 By watching the show, viewers can not only satisfy guilty cravings for escapist romance dramas, but also feel better about themselves because they gained a lot of cross-cultural understanding along the way. All this cross-cultural exchange sets A Taiwanese Tale of Two Cities apart from most TV shows or movies that deal with Asian diaspora issues. Usually, such media (ex. Fresh Off the Boat or Crazy Rich Asians) emphasizes gaps and conflicts between Asians living in Asia and Asian diaspora. While A Taiwanese Tale of Two Cities also acknowledges significant differences between Taiwanese and Taiwanese-Americans, it celebrates those differences, and stresses that regardless of what passport you hold, there are still commonalities that transcend cultural gaps. For example, Josephine is vegan, a rare phenomenon in Taiwan. Though the show’s Taiwanese characters poke fun at her veganism, they still respect her choice and enthusiastically help her find vegan-friendly food around Taipei. In today’s highly polarized global media climate, it’s refreshing to find a show—particularly one from Asia–that celebrates differences instead of exploiting them. I doubt we’ll be seeing A Chinese Tale of Two Cities or a A Korean Tale of Two Cities anytime soon though, given those Asian countries’ more nativist streaks. Taiwan has gained a reputation over the past few years as East Asia’s most pluralistic and progressive society, and A Taiwanese Tale of Two Cities is a full-throated testament to this reality. In this sense, the show isn’t just an advertisement for all the great food and sights in Taipei; it’s also a ringing advocate for Taiwan’s soft power and positive international reputation. Taiwan’s Ministry of Culture actually helped fund A Taiwanese Tale of Two Cities, and I’d say their money was pretty well spent. Alongside series like The Teenage Psychic and On Children, A Taiwanese Tale of Two Cities is yet another example of Taiwan leveraging its pluralism and media freedom to make quality, internationally distributed television. While the show can be cheesy at times, and I’m not sure how well it’ll do outside audiences of Taiwanese heritage, it’s a worthy add to your Netflix queue as one of the few Asian dramas that can teach you something while still remaining entertainingly wholesome. A Taiwanese Tale of Two Cities is currently available for streaming on Netflix in both the US and Taiwan.